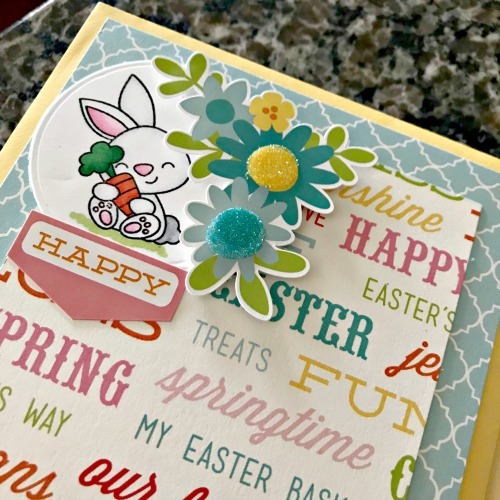 Spring Greetings! 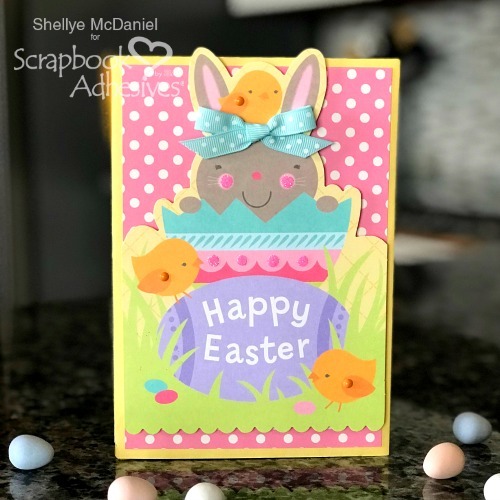 Shellye McDaniel here today with a cute Easter Envelope Mini Scrapbook project just in time for an Easter basket! 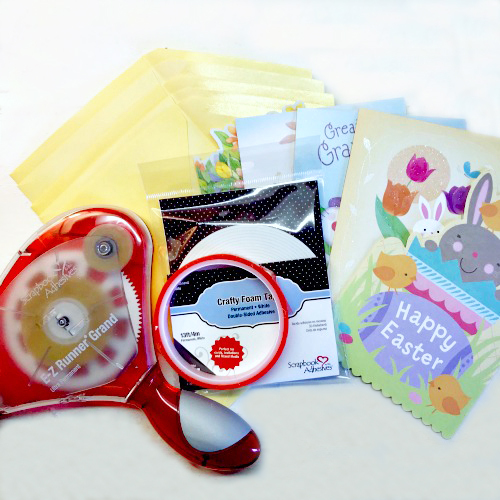 First, I gathered four greeting cards with matching envelopes, along with E-Z Runner® Grand Refillable Dispenser using the E-Z Runner® Grand Ultra Strong Refill, Crafty Foam Tape White and Extreme Double-Sided Tape 1/2in . 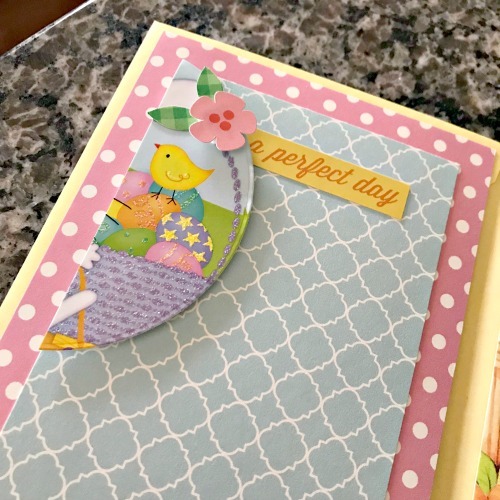 These greeting cards were purchased from The Dollar Tree. 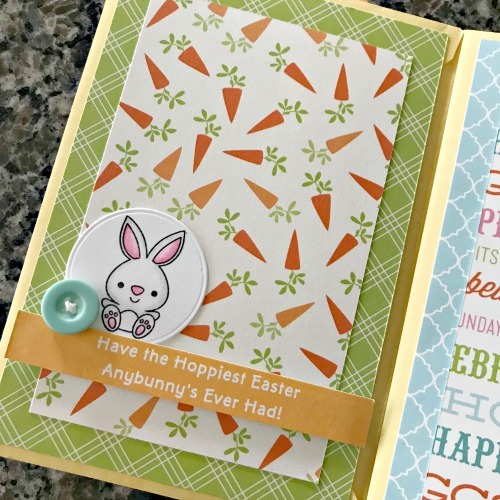 In deciding which cards to choose, I looked for motifs that could be easily die-cut or used in its entire design. 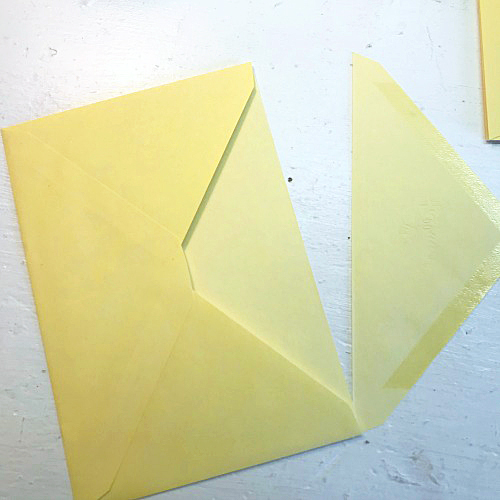 Next, I cut one of the flaps from the envelopes; this is the front page. 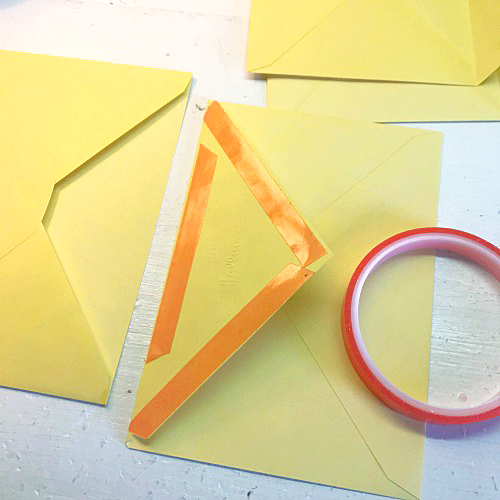 After that, I added Extreme Double-Sided Tape 1/2in to the flaps and then inserted into the opening of the opposite envelope. 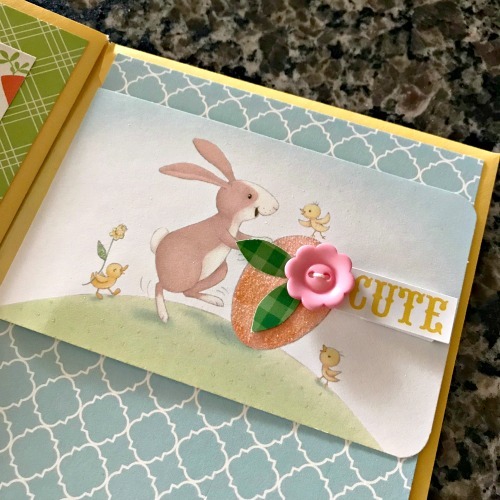 This makes the pages sturdier and also provides an extra pocket on each page! 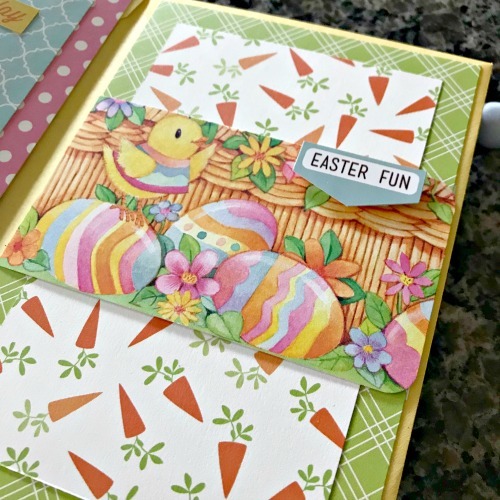 Prep all of the pages by dressing them with patterned papers using the E-Z Runner® Grand Ultra Strong Refill. View the short How to Use and Refill the E-Z Runner Grand Dispensers video below. 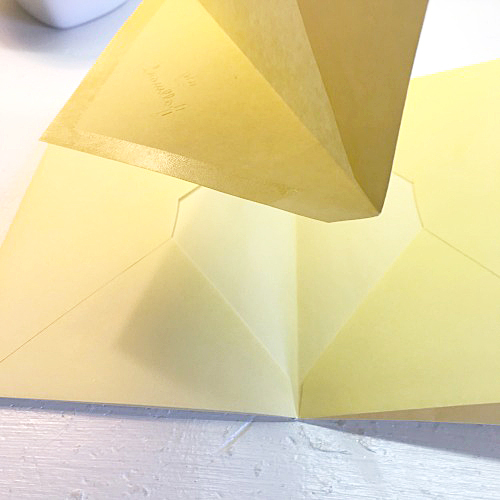 For the cover, I simply cut the back from one of the cards and attached Crafty Foam Tape White (13′) to it before attaching to the front envelope. 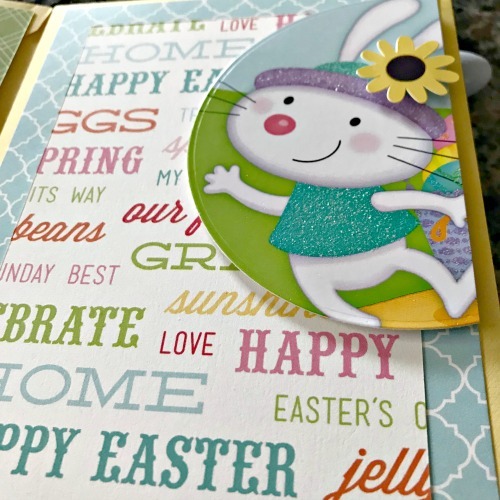 In further embellishing the cover, I added Adhesive Dots Mini to the egg design and bunny’s cheeks and then topped with pink glitter. Per usual, I love using various sizes of the Adhesive Dots to attach buttons. 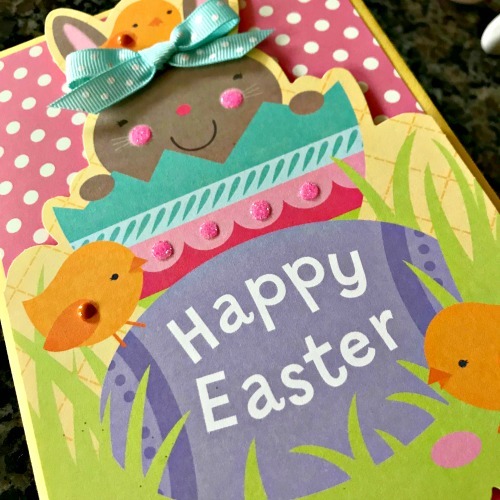 Here I’ve used the Adhesive Dots Large and also 3D Foam Squares to add the other die-cuts with. 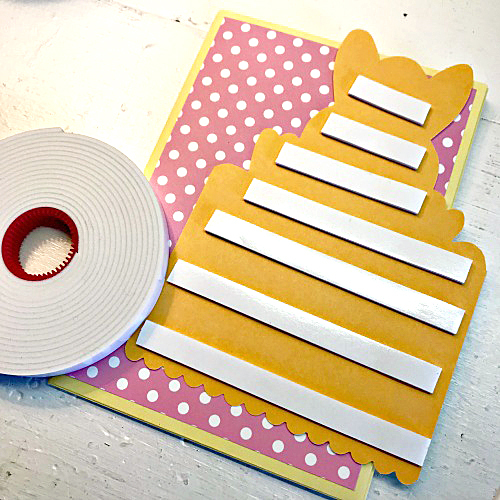 To create the pocket I used strips of the Crafty Foam Tape White (13′) on the sides and bottom of the cut-out. 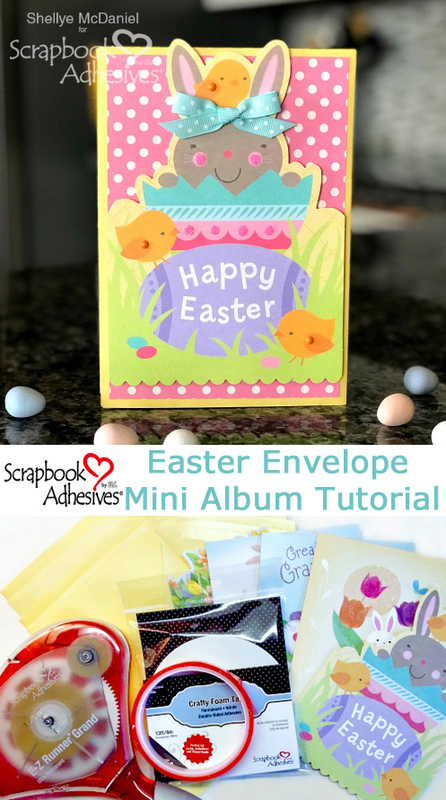 This is such a fun and inexpensive way to craft a special mini album that can be tucked into an Easter basket or given to grandma for a brag book! I hope you’ve enjoyed! 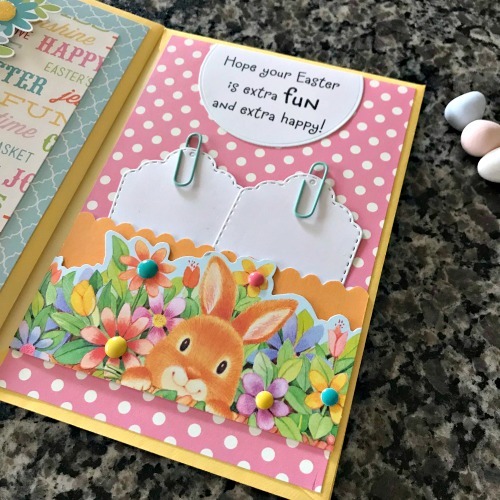 This entry was posted in Adhesive Dots & Lines, Adhesives, Crafts & Tutorials, Crafty Foam Tape, E-Z Runner® Grand, Extreme Double-Sided Tapes, Gifts, HomeHobby by 3L, Intermediate, Mini Albums, Permanent Adhesive, Scrapbooking, Seasonal Craft Ideas, Skill Level, Spring, Tutorial and tagged Adhesive Dots Mini, Crafty Foam Tape Black, E-Z Runner Grand Dispenser, E-Z Runner Grand Ultra Strong Refill, Easter, Extreme Double-Sided Tape 1/2", HomeHobby by 3L, Mini Album, Scrapbook, Shellye McDaniel. Bookmark the permalink.